Police tight-lipped about suspect’s arrest – WHO KILLED THERESA? A man arrested as a suspect in the death of 10-year-old Jolène Riendeau was being questioned by investigators Friday evening, several hours after his arrest in one of the most high-profile cases to be handled by Montreal police. The question of whether the man, described only as a Montrealer in his 40s, will be charged Saturday with causing the girl’s death or walk away a free man remained unanswered Friday. The man was arrested in the morning and brought to the east-end headquarters of the Montreal police majorcrimes squad in the Place Versailles shopping mall. 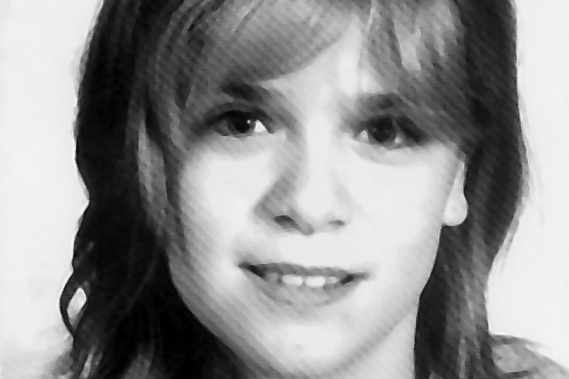 He was questioned as a suspect in Jolène’s death two days after police revealed they located the remains of the girl who went missing in Point St. Charles on April 12, 1999. Also on Friday, Jolène’s parents, Dolores Soucy and René Riendeau, dealt with the certainty of their daughter’s death as they began to plan a fitting tribute to a girl whose unsolved disappearance stuck in the minds of many for a dozen years. Pina Arcamone, head of Quebec’s Missing Children’s Network, said Friday that even though Jolène’s parents moved away from the Point long ago they plan to hold Jolène’s funeral in the neighbourhood where she was raised and last seen alive. After she was reported missing in 1999, a friend of Jolène’s told police she saw her eating chips outside a convenience store on Charlevoix St., six blocks from her home. It was the last time she was seen alive. “They are focused. They know the tribute they want to pay to their daughter. They want to make this a very special occassion for Jolène and the many people who supported them over the past 12 years,” Arcamone said. Arcamone said Jolène’s parents were informed the provincial coroner might release her remains on Monday. If that happens, a funeral in Point St. Charles will likely be held later in the week. Arcamone, who has been helping the family deal with their loss, said Jolène’s parents remained resilient despite what they were put through in the space of three days. The Gazette has learned the suspect is a 47-year-old man who was charged in 2001, in Montreal court, with sexually assaulting a 4-year-old girl. A year later, he pleaded guilty to sexual assault, sexual touching and inviting a minor to touch him in a sexual manner. He was sentenced to a 20-month prison term and 3 years of probation. As part of the same case, he was convicted of assaulting an adult woman and received the same sentence. In 2009, he was charged, in Montreal court, in two separate cases that are still pending. In one, he is charged with assaulting a woman in 2009. In the other, he is alleged to have threatened, forcibly confined and sexually assaulted a woman in 2007. He was granted a release, shortly after he was charged, by agreeing to follow a series of conditions. The Montreal police tried to keep a lid on information getting out while the man was questioned Friday, a matter Sgt. Ian Lafrenière described as “crucial to the investigation.” Lafrenière said Jolène’s remains were found in Montreal but wouldn’t specify where or when. Lafrenière said another reason why police are keeping a tight lid on information is that investigators must be able to differentiate between someone who knows intimate details about the homicide and someone who is merely repeating what they might have heard through the media. In the Jolène case, he said, false tips caused the police to search the Lachine Canal twice and to use large construction equipment, a few years ago, to break up cement at an undisclosed location.